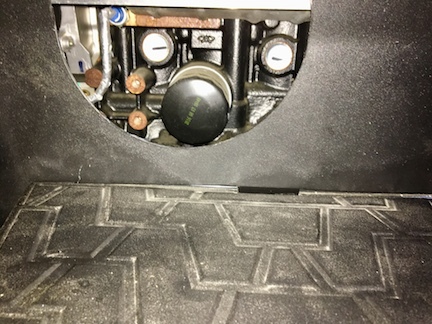 The Kawasaki tech note describes a 3" port to access the oil filter, but having a hole that size means you need really tiny fingers to replace the filter. 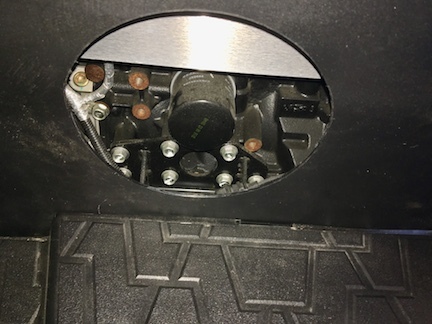 I decided to install a larger screw fit marine port (hole is 6" but the actual port is 8". The round access port costs $10 CAN. Remove the rear seat, loosen the left side panel (next to the rear seat), remove the battery box cover. 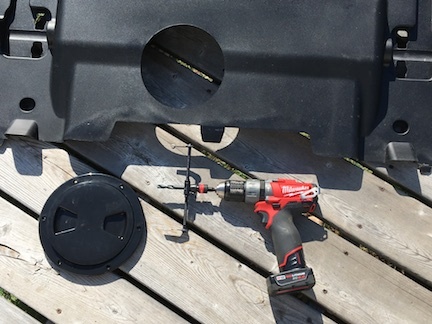 Unscrew two pan head screws on the front of the large plastic panel, remove any plastic rivets and finally remove the large plastic panel below the rear seat. Peel the sound deadening material off of the panel, keep it for later. 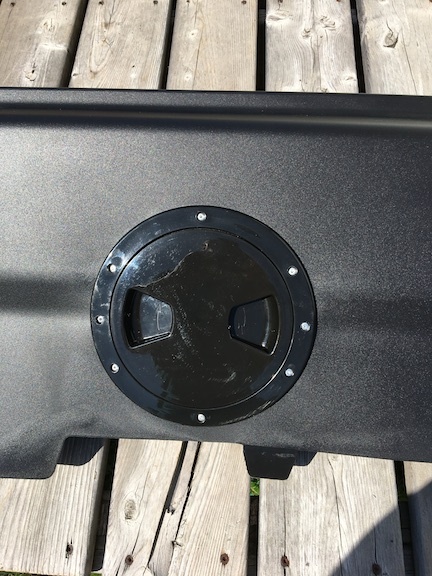 Image 1 - the panel after the hole is cut - the cutter that I used is a Milwaukee drywall bit, it does cut plastic, be gentle The bit costs about $38 CAN. 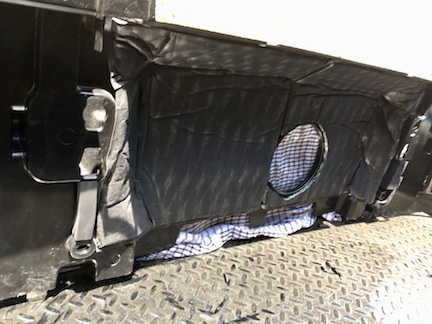 Image 2 - after cutting the hole, reinstall the sound deadening material. Keep the circular piece that you cut out, you will use it later - see image 3. The large panel has curves, the panel is certainly not flat, so gentle use of a heat gun will help flatten the panel. I added extra aluminium rivets to hold the panel flat to the port. Image 4 - The port installed in the panel. Reassemble the panel and rear seat. 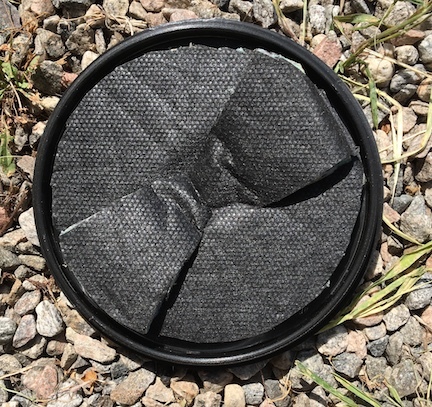 Image 5 - there is plenty of space to work on the filter. (picture from floor level). Image 6 - The aluminium panel is a heat shield, I did not need to cut it, I suggest you don't, things get hot in there. So now I can get to the oil filter in less than a minute. Total cost was $48 CAN and about three hours of messing around. I have no issues accessing the oil filter after raising the bed. My arm fits between the panel and the engine easy enough to take the old filter off and slip on the new one. What is the brand name of the Marine Port you used? I have looked but with no success in finding one this size. I am a big ole boy and my arm doesn't fit too well in that area. I am willing to spend some cash to make it easier for me to get to.. Thanks for your post. The company is Victory Products (here is the inspection ports page), the exact item that I used is this. I paid $10 CAN at the Chandlery in Ottawa, it seems that they don't list it online. I bought my one in their store. Last edited by Baloo; 07-31-2018 at 01:40 AM.